Hostel Franceska offers accommodation in beautiful location of Split. It offers air-conditioned rooms. Reception is open 24 hours a day. 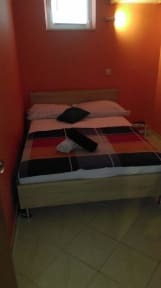 Hostel Franceska is located in the center of town split. Just a few steps away from cafes, restaurants and shops. We are located 400 meters from the Diocletian's Palace, 150 meters to the nearest shop, 100 meters to the nearest café. The main street is all 250 m away. Hostel Franceska consists of 3 air-conditioned apartments fully equipped with free Wi-Fi. Check in from 13:00 to midnight.